I wanted a sandwich the other night, but not a boring cold sandwich. I decided to take one of my favorite sandwiches and wrap it up in a crescent roll! 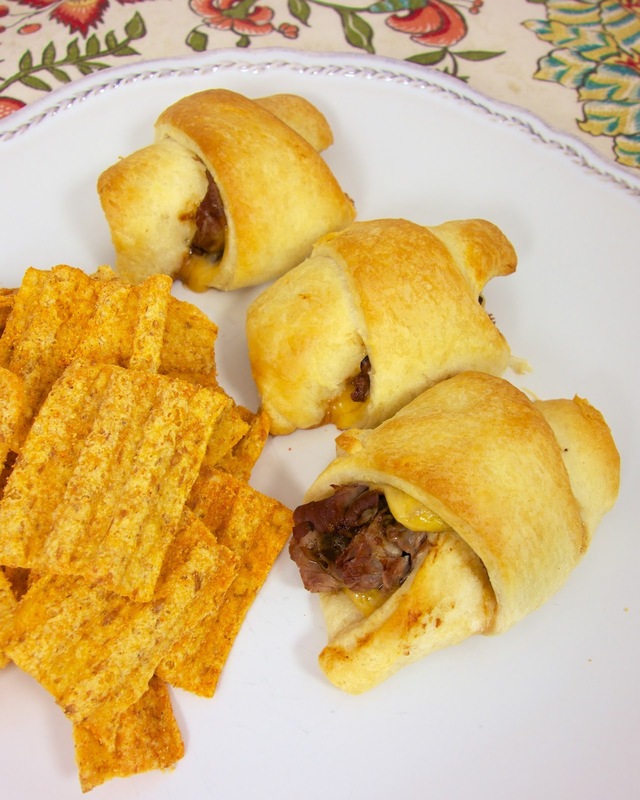 Because everything is better stuffed in a crescent roll!!! These are so easy to make and taste fantastic. I really love the combination of roast beef and BBQ sauce. I like to make these for a quick lunch or light dinner. These are also good reheated the next day. I just pop them in the microwave for about 25-30 seconds. Separate crescent rolls into 8 triangles. Top each crescent with 1/2 slice cheddar cheese. 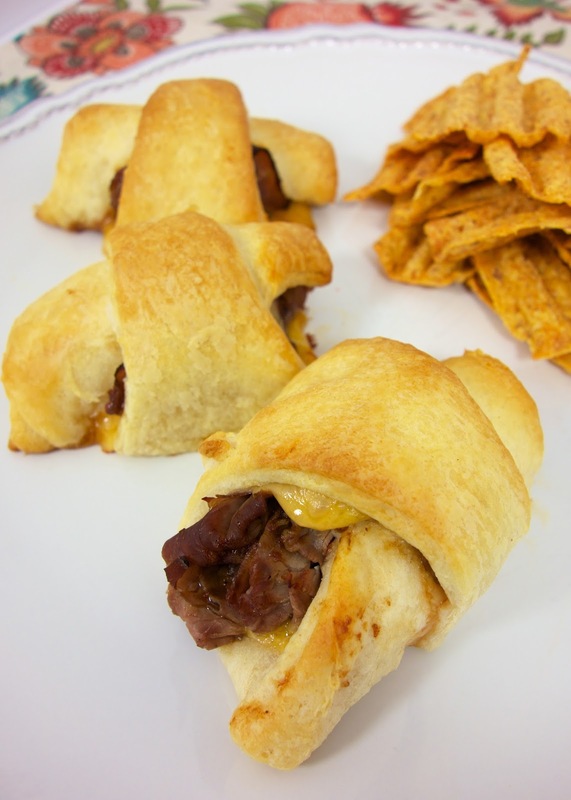 Brush roast beef slices with BBQ sauce and place on top of cheddar cheese. Roll up crescents and place on baking sheet. I believe you may be the queen when it comes to creations from various types of refrigerated dough and they always look delicious.